At-home whitening kits are becoming very popular. 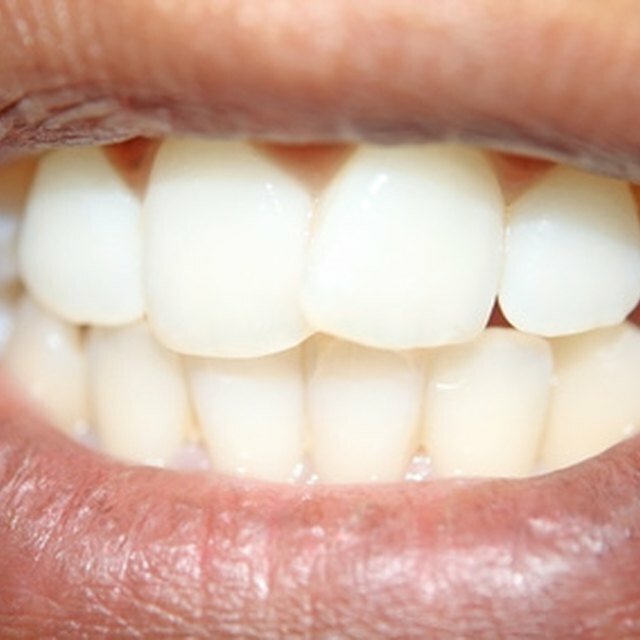 Some teeth-whitening systems allow you to paint whitening product directly onto your teeth while others require trays that hold whitening gel. Whitening trays can be used for both whitening product types. At-home whitening tray kits are available to make yourself. At-home whitening trays can be purchased from athomewhitening.com, purewhitesmiles.com or at your local dentist's office. The process of making trays is fairly simple. Most kits come with moldable plastic general trays that react to hot water and pressure. To customize the trays, drop a tray in hot water. Once it has warmed, remove it from the water and place the tray in your mouth directly on the upper teeth. Bite down on the plastic until you feel the plastic forming around your teeth. This will make a custom whitening tray for the upper teeth. Warm the second tray in hot water, then place it on the bottom teeth. Bite down on the plastic until the plastic again has formed around your teeth. This will create bottom whitening trays. These trays are customized to your teeth and can be used as a part of an effective at-home whitening system. Next, find a whitening material that works with your schedule and tooth sensitivity. There are several different at-home whitening products available over the counter. Each offers different whitening times and application techniques. There are whitening gels that are designed to work with whitening trays. These gels are placed directly in the trays. Whitening gel paint is also available over the counter. These products are intended to be used without trays. You paint a thin layer of gel over your teeth and allow it to dry. Some find that the moisture from their mouth can cause the whitening product to bubble. For some people, this may be an uncomfortable situation. Whitening trays can be used to shield the whitening paint from moisture in your mouth, making the whitening process more enjoyable. Can You Leave Toothpicks in Your Pinwheels When You Bake Them?